Reliance Jio No Network / Emergency Calls Only Problem Fixed. Most people are getting Reliance Jio no network & emergency calls only problem. Here i write about how to fix Reliance Jio No Network & Emergency Calls Only Problem. Here's solution of this error. Steps to Fix Reliance Jio No Network & Emergency Calls Only Problem. When you insert the sim card for the first time, most of the times you will see emergency calls only or sim card not registered on the network error. 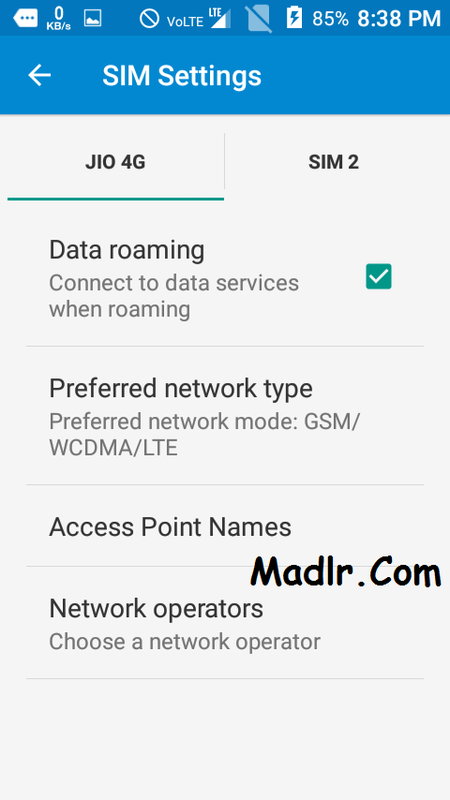 If you have Dual sim phone, then set network mode of Jio to ‘LTE/WCDMA/GSM Auto’. In the list you want to select Jio 4G. .If you are still getting error please try this for 3-4 times. After Jio Sim Registered on the Network then restart your mobile. If you are getting still this problem please comment or read this (Solved) Jio 4G Voice Offline / Call Not Connecting Problem.